Google G Suite is the ultimate suite of online tools for business. You can try G Suite here. We especially like G Suite for small businesses because of its cost effectiveness, simplicity and ease of collaboration. Gmail is at the core of G-Suite and is, by far, the best cloud-based email system available. 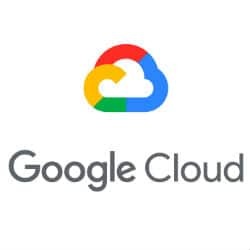 It is fast, secure, works from any device and links to the rest of the G Suite products, including Calendar, Contacts, Docs, Sites, Photos and hundreds of third-party Apps. The main alternative to Google G Suite is Office 365 by Microsoft. This review provides a comparison. The short video below gives you brief overview of the features of G Suite. We have migrated all of our computers over to Google’s new operating system on Chromebooks, which are a low cost notebook leveraging the power of Google G-Suite and cloud computing. We love our Chromebooks. Google provides low cost, fully functional and easy to use business software. However, the low cost does come at a price. For an overview of some of the risks and how to get around them read this article.